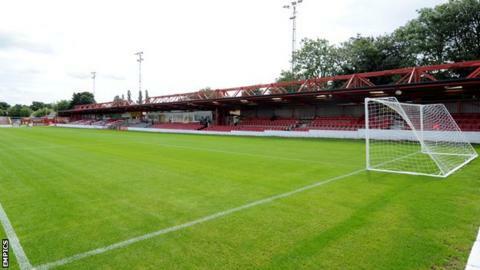 Accrington Stanley have signed Chesterfield goalkeeper Aaron Chapman on a two-month loan deal. The 24-year-old started his career at Belper Town and moved to the Spireites in 2013, but has made just one substitute appearance for them. Chapman spent time on loan at Conference side Chester last season, making 16 league appearances. "He's someone who very much caught my eye when I saw him playing for Chester," said manager John Coleman. "He has a real presence about him and he's got a good character which makes for a good goalkeeper."